Do I Really Need Disability Representation? How Do I Get Social Security? Amendments to the Social Security Act ease the earnings restrictions affecting social security beneficiaries working after retirement. These amendments also apply to annuitants covered by the Railroad Retirement Act. The following questions and answers provide information about this change in the law. 1. Why does this change to the Social Security Act affect annuitants covered by the Railroad Retirement Act? By law, the Railroad Retirement Board applies the Social Security Act provisions for earnings restrictions to annuities payable under the Railroad Retirement Act. Therefore, under the two tier railroad system, tier I railroad retirement benefits and vested dual benefits paid by the Board to employees, spouses and survivors, as well as tier II benefits paid to survivors, are subject to earnings deductions, just like social security benefits, if earnings exceed certain exempt amounts. Earnings for these purposes consist of all wages received for services rendered, plus any net earnings from self-employment. Interest, dividends, certain rental income or income from stocks, bonds, or other investments are not considered earnings for these purposes. 2. How does this change affect railroad retirement and social security beneficiaries? This change to the Social Security Act affects those who have attained full retirement age, currently age 65. Full retirement age ranges from age 65 for those born before 1938 to age 67 for those born in 1960 or later. Under prior law, beneficiaries of full retirement age but still under age 70 were subject to an annual earnings limit, which was $17,000 in 2000, beginning with the year in which they attained full retirement age. For those in this age group, the deduction was $1 for every $3 of earnings over the exempt amount. This earnings limit ceased to apply to any beneficiaries age 70 or older, starting with the month in which they were 70. Under the new law, and retroactive to January 1, 2000, these earnings limitations and deductions are eliminated for those of full retirement age, beginning with the month they attain full retirement age. However, as under prior law, the deduction of $1 for every $3 of earnings over the annual exempt amount will still apply to beneficiaries for all months in the calendar year in which they reach full retirement age, up to the month full retirement age is attained. Take, for example, a retired railroad employee, who will attain age 65 in June 2000, and is currently working in nonrailroad employment. If his earnings exceed $17,000 in the period January through May 2000, his tier I benefit for that five-month period is reduced by $1 for every $3 he earns over $17,000. Beginning with June 2000, no earnings deductions will apply to his tier I benefit, regardless of his earnings for the year. Or, for another example, a 68 year-old widow working and earning over $17,000 in 2000, whose tier I and tier II benefits have been withheld due to her earnings. Since she is of full retirement age, any benefits withheld for this year will be repaid retroactively, and her annuity will no longer be subject to withholding due to her earnings. 3. Is there any change to the earnings limits that apply to beneficiaries under full retirement age? No. In the years before the year of full retirement age, the earnings deduction of $1 in benefits for every $2 over the exempt amount, $10,080 in 2000, still remains in effect. 4. Does this legislation affect any of the additional work restrictions that are contained in the Railroad Retirement Act, but not in the Social Security Act? No. Under the Railroad Retirement Act, an annuity is still not payable for any month in which an annuitant works for a railroad or railroad labor organization, regardless of age. Nor have the special restrictions that apply to disability annuitants changed. However, a rail employee of full social security retirement age, whose rail employment precludes the payment of an annuity, would now not be precluded from receiving any social security benefits the employee may previously have been ineligible to receive because of his or her earnings. In addition, the legislation does not affect the tier II railroad retirement earnings deductions that apply to employees and spouses who work for their last pre-retirement nonrailroad employers. These additional deductions of $1 for every $2 in earnings, up to a maximum reduction of 50 percent, continue to apply to tier II benefits, and supplemental employee annuities, regardless of age or the amount of earnings. An example would be a 67 year-old spouse annuitant working for her last pre-retirement nonrailroad employer and earning $20,000 a year. Her tier I railroad retirement spouse benefit is $600 per month and her tier II benefit is $400, before any reductions for earnings. Because she is working for her last pre-retirement nonrailroad employer, her tier II payment was reduced from $400 to $200, in addition to her tier I benefit being reduced by $1 for every $3 of earnings over $17,000. As a result of the new law, her full tier I benefit of $600 is now payable retroactively to January 2000, but the reduction in her tier II benefit on account of her last pre-retirement nonrailroad employment will continue to apply. 5. When will those retirees whose annuities are currently reduced because of excess earnings see an adjustment to their monthly benefit payments from the Railroad Retirement Board? About 2,500 beneficiaries on the Board’s rolls are affected by the new law. 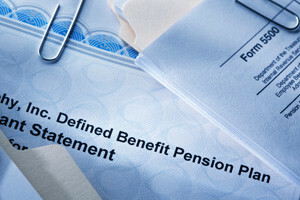 Retroactive payments, averaging about $1,700, of benefits previously withheld for excess earnings, as well as the removal of any earnings deductions applied to those affected, should be completed by early July. 6. How can individuals find out more information about how this change affects them? For more information, individuals should contact the nearest office of the Railroad Retirement Board. Most Board offices are open to the public from 9:00 a.m. to 3:30 p.m., Monday through Friday. If you need help understanding or dealing with anything you have read here, we are always available to assist you. CONTACT US via email or call Nationwide Toll Free 800-660-0449 to talk with an experienced representative. It is our goal to help you receive the Railroad Retirement Disability, Social Security Disability, Medicare and Supplement Security Income benefits to which you are entitled, in the most efficient and expedited manner. We strive to deliver the most courteous and timely service to our clients. There is never a charge for a consultation and evaluation of your case. All representation fees are entirely on a contingency basis, and set by federal law. If you don't win, you don't pay fees. Fees are limited to 25% of the back benefit. Our office can help you with your claim after the filing of an initial application. It is never too early. No one should go to a hearing without a skilled representative. CONTACT US right now to talk with an experienced representative. Do I Really Need Representation? Contact us today for a free consultation. No fee unless we win your case.